Product prices and availability are accurate as of 2019-04-21 15:00:28 UTC and are subject to change. Any price and availability information displayed on http://www.amazon.com/ at the time of purchase will apply to the purchase of this product. 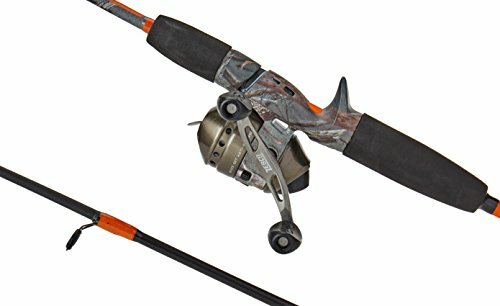 Sneak up on 'em with this camouflaged combo, complete with a 33 Micro 2-bearing drive spin cast reel and durable 5' ultra-light action z-glass rod. Pre-spooled with 4 lb. Line. 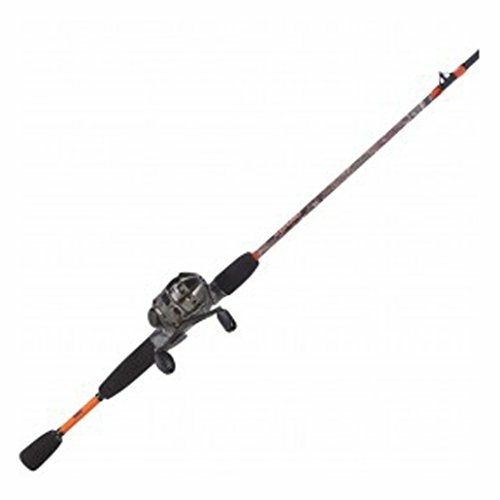 Features: - dual ceramic pick-up pins - lightweight graphite frame - die-cast metal handle - Quickset anti-reverse - changeable right or left hand retrieve - durable glass blank - split-grip EVA - twist-lock reel seat - smoke anodized stainless steel covers - micofine dial-adjustable drag - built-in Bite alert specifications: - type: spin cast - bearings: 2 - gear ratio: 4.3: 1 - inches per turn: 16 inch - length: 5' - action: ultra light - guide count: 4+ tip - line weight: 2 - 6 lbs. - pieces: 2.